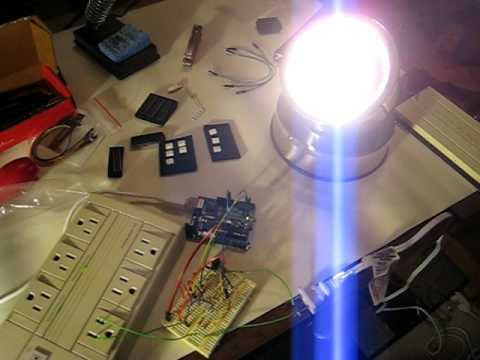 Tonight’s experiment was building an AC light dimmer that could be controlled via my little micro-controller. This would basically give me the ability to remote control any standard incandescent lamp, light, or bulb. Or the ability to remotely start a fire in my apartment, depending on my engineering ability. But after a night of building and testing, I can proudly say there were no fires or electrocutions. Yet. Very Nice! Im working on something similar for an interactive installation. I’m having difficulty getting a ‘smooth’ dimming. Would you be willing to share your code?